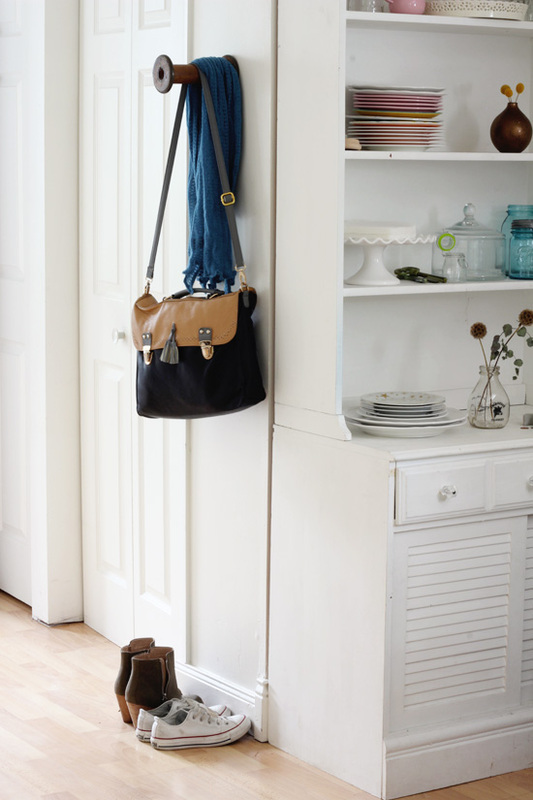 The entryway is probably the busiest area in any home. An ideal place to track in grass and mud.. this dump pile is usually an eye sore. BUT I’ve good news for You! 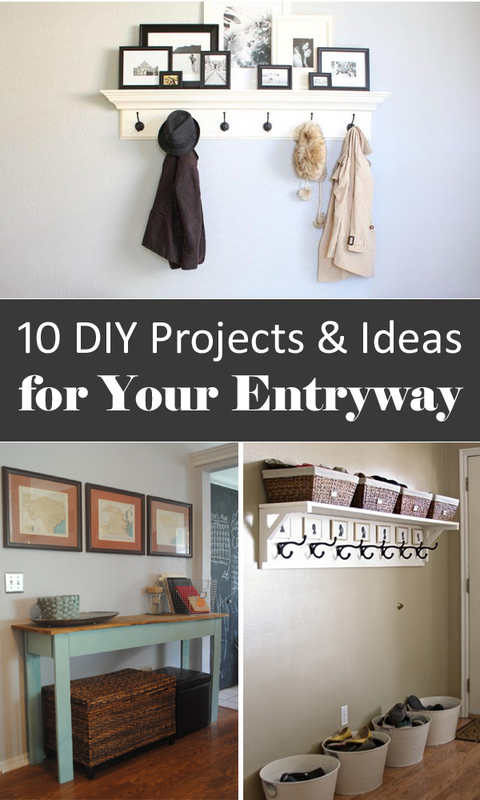 We have found for you some great DIY entryway projects on a budget, to help bring order back in to your own home. 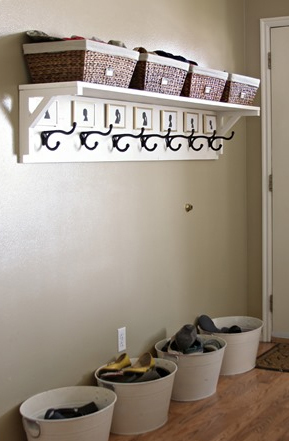 Whether it’s coats, backpacks keys or bills dropped on the entry table, or perhaps you simply want a good orderly place to welcome visitors, try out one of these easy projects out in your home! 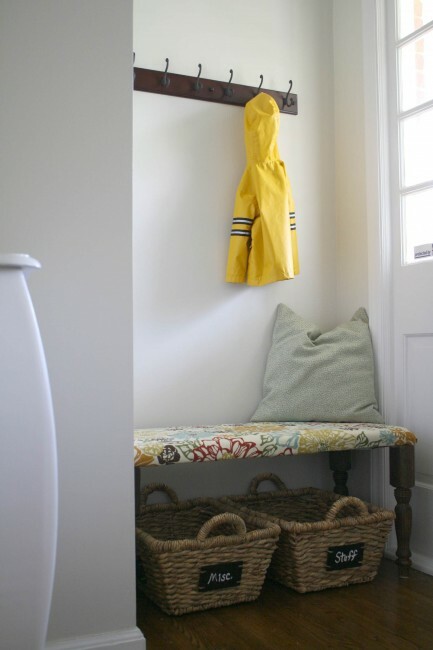 Create a unique wall hook with a vintage wooden spool. 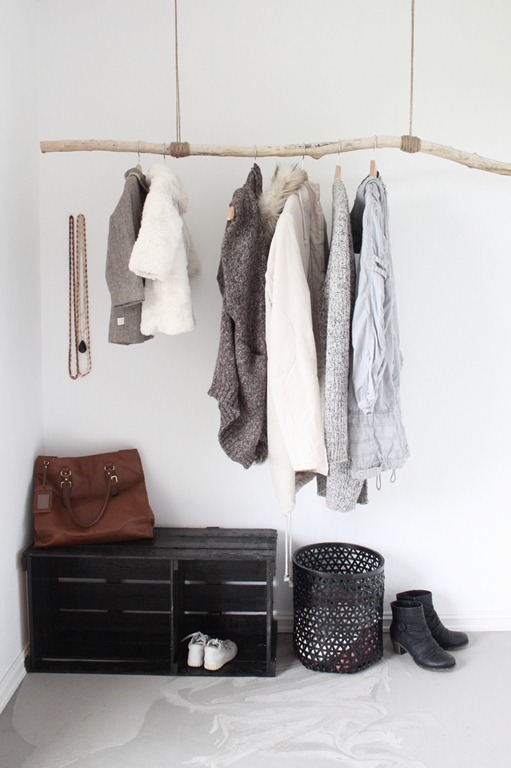 I think it could be fun to make this with a several of vintage spools for those who have a bigger entryway. It is so nice to have a place for everybody to hang their own stuff. This project brings a more personality feel to that entryway. Such an original space! 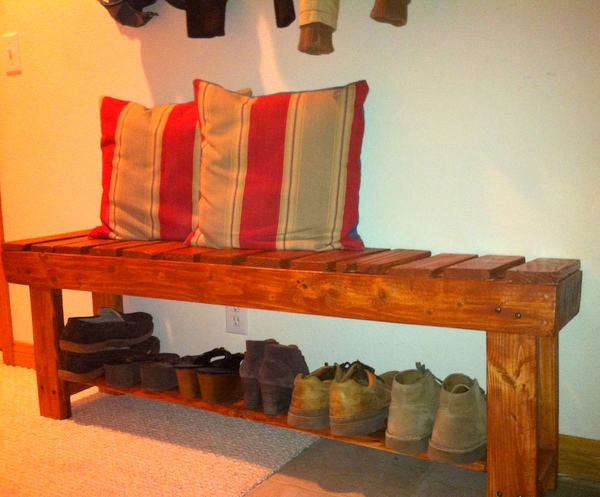 This is a great bench for an entry. I like it, what a creative and clever design. 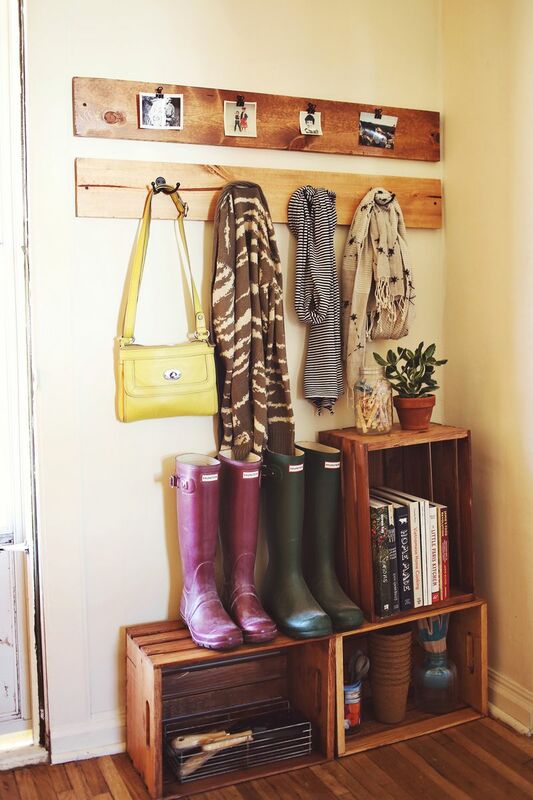 If you are a fan of rustic elements at your home, this is a perfect way to organize your entryway. 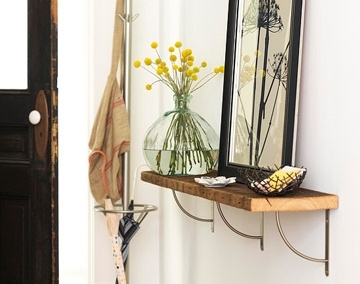 An easy shelf with innovative design can change the look and feel of your entryway. 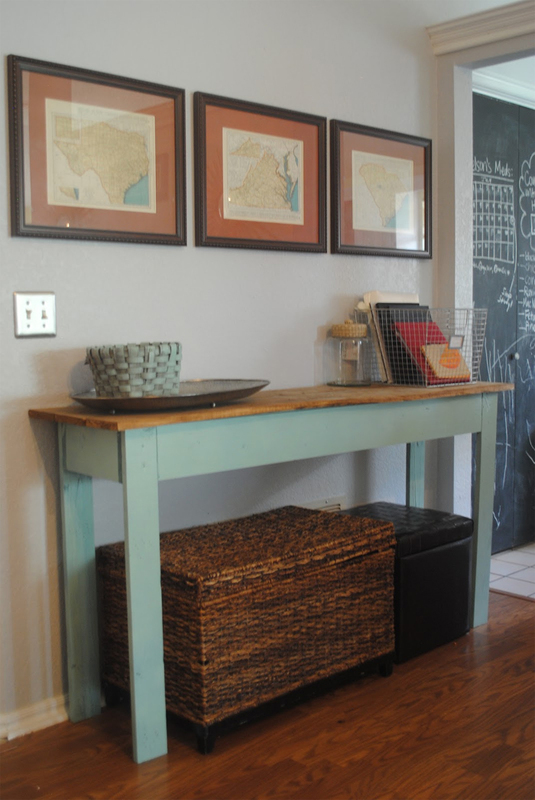 This wonderfully distressed DIY entryway console table is created of wood scraps. 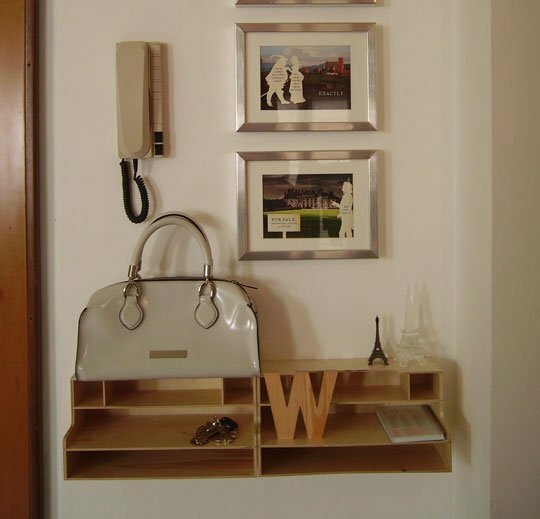 Turn a typical storage unit in to a small space shelf. 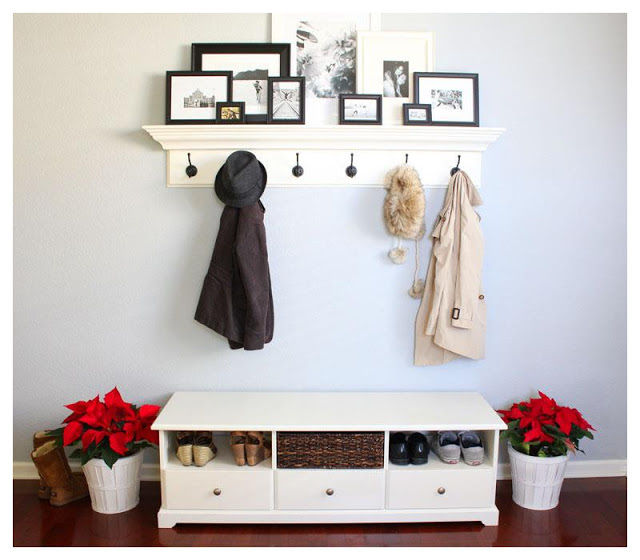 Excellent DIY entryway idea to display photos of your family. Cover a piece of plywood using batting and fabric and add four spindle legs to the underside.